Many adults with disabilities struggle to find work because employers have unfounded preconceptions about what they can or cannot do. Northwest Center, a Seattle-based nonprofit, is working with companies to break through those biases and help people find jobs. Work often helps to define who we are. When strangers meet socially, one of the first questions that comes up is “What do you do for a living?” The hurdle to landing employment isn’t always an inadequate resume. Sometimes it’s something different about a person physically or mentally that makes others think they can’t do the job. But what if they can excel given the chance? There are almost as many kinds of jobs as kinds of people, and it only takes a little work to match the right person to the right task. That’s where Northwest Center comes in. The 54-year-old Seattle-based agency prepares people with disabilities for employment and helps them secure jobs. Any revenue generated from the jobs program supports the broader mission of Northwest Center to provide services and training to people with disabilities so they can succeed in life. All the training in the world isn’t enough, though, if employers aren’t willing to take a chance. Skeptical hiring managers should check out Amazon. 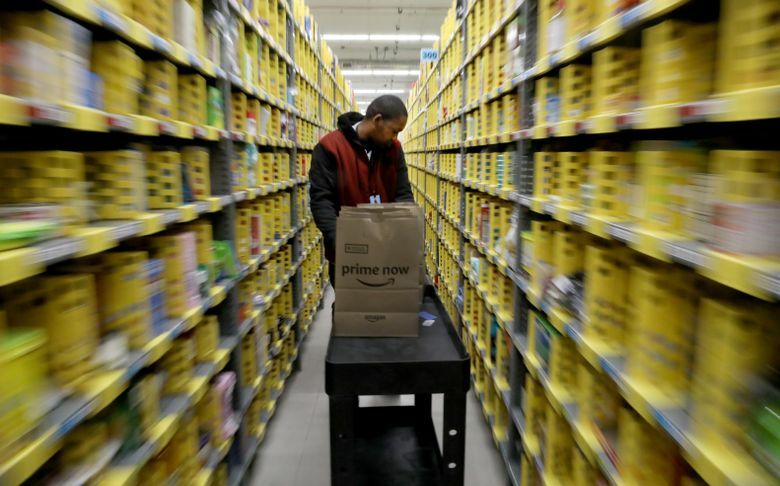 As Seattle Times business reporter Benjamin Romano recently reported, Amazon took a chance more than a decade ago. It’s paid off all around. The company tapped into a reliable, diverse workforce, and people have jobs. Since 2015, the company has hired more than 180 people through Northwest Center. The program has been so successful that Amazon is rolling it out at other sites across the country. Amazon isn’t alone. Microsoft, Starbucks, UPS and Walgreens are among the major companies that have worked with Northwest Center. A business doesn’t have to be a corporate behemoth to benefit, though. Smaller companies can find the right person for their jobs, too. They’re all making smart business decisions. More important, though, they are giving back to the community. They are helping people find their place in a culture that too often tries to marginalize them.